Instarmac Flowpoint and Instarmac Probed was recently installed in Alfred Street Auckland to fix the granite sets down in the bus laneway. 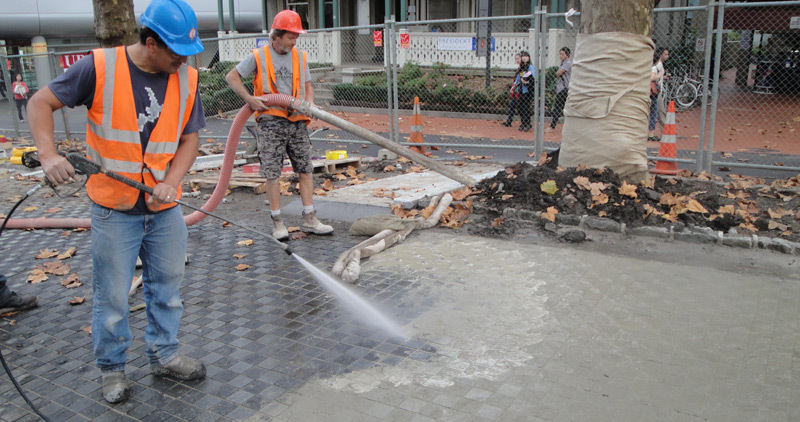 Down on Alfred Street Auckland the staff of Peter Robinson Contracting have experienced a new form of bedding and grouting. The project is a high volume bus lane running between two sections of Auckland University. The product being installed is 100*100*60mm granite sets. Product is being laid on 30mm bed of the Pro-Bed bedding compound and jointed with Instarmac Flowpoint.